Richard Tomaschefsky, II | Financial Council, Inc.
Rick joined FCI in January of 2019 bringing with him a true passion for helping clients achieve their financial goals. 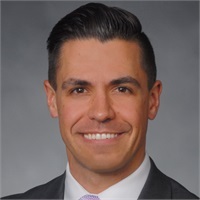 He is a graduate of the College of Business & Economics at Towson University where he received his Bachelor of Science Degree in Business Administration with a concentration in Finance. Prior to joining FCI, Rick served as a Financial Analyst where he strived to drive efficiencies through process improvement related to business operations. Rick and his wife Erika are Baltimore County residents. Outside of work, Rick has an eagerness to continuously improve and often spends time listening to, and learning from, audiobooks. He has a strict morning gym routine that gives him the ability to participate in obstacle course endurance races. Actively engaged in playing and following all sports, Rick is an avid fan of both the Ravens and the Orioles. He also enjoys coaching youth baseball, traveling and spending free time with his wife.